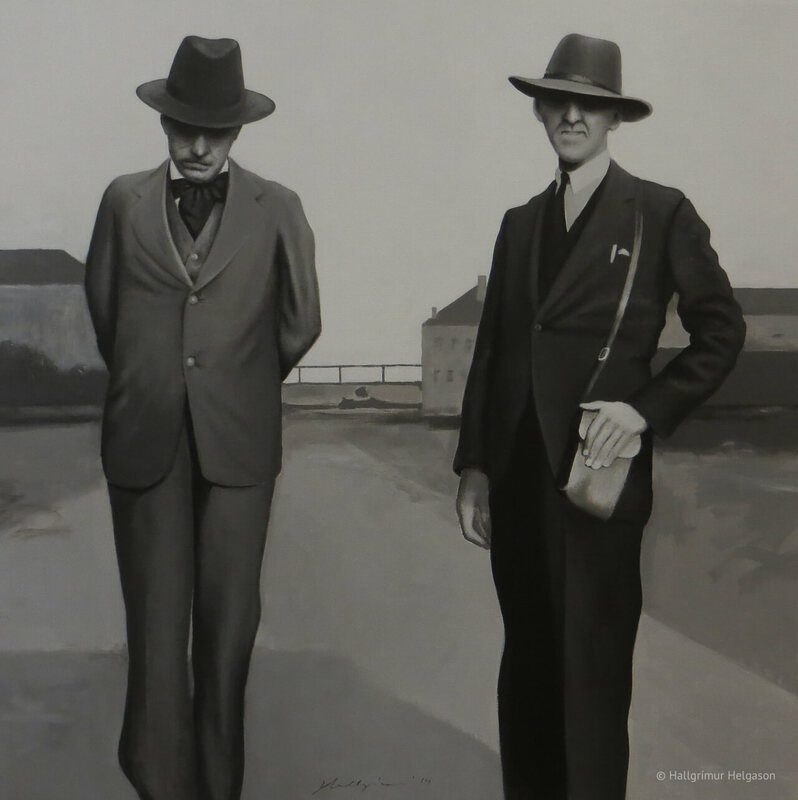 The very last painting of the b&w series of the “Dead Poets’ Society” of Icelandic literature. In the twentieth century Þórbergur Þórðarson (1888-1974) (left) and Halldór Laxness (1902-1998) (right) were the two giants of Icelandic literature. They were very different from each other and were not the best of friends, though their rivalry was mostly kept secret. Almost no photos exist where they are seen together. As a source for his painting Helgason used a snapshot from 1930, taken in the harbour of Leith, Scotland. Some extras had to be removed for the two writers to stand together at last.